United States and Cuba re-establish a direct telephone link for the first time since 1999. 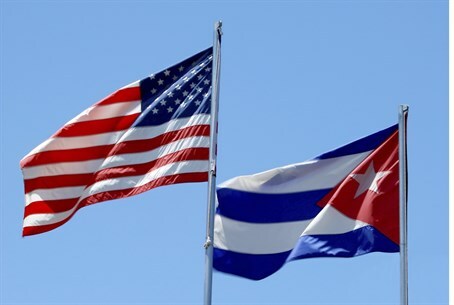 The United States and Cuba have re-established a direct telephone link, the Cuban state telecommunications company said Wednesday, the AFP news agency reported. For the first time since 1999, calls can now be made directly from the United States to Cuba and vice versa, without passing through a third country, the company, Etecsa, said in a statement. "The reestablishment of direct communications between the United States and Cuba contributes to providing better infrastructure and better communications quality between the people of both nations," Etecsa said. The connection was set up through a February deal signed with New Jersey-based firm IDT Domestic Telecom, according to AFP. It was the first agreement signed between Cuban and American companies since the announcement on December 17 that the two countries would renew diplomatic ties after more than 50 years of hostility. The telephone link between the two countries has been interrupted and restored numerous times since Fidel Castro came to power in the Cuban Revolution in 1959 and began nationalizing American-owned companies in the 1960s. This is the first time the connection has been restored since February 25, 1999, according to Cuban authorities. Previously phone calls between the United States and Cuba had to pass through a third country, making them expensive and poor in quality. Around two million Cuban-Americans live in the United States, and many families rely on phone calls to stay in touch across the Florida Straits, noted AFP, adding that postal service between the two countries was cut off in the 1960s and has still not been restored. The move has been met with opposition from Republicans, such as Senate Republican leader Mitch McConnell, who said he opposed Obama's plans to normalize relations with Cuba.